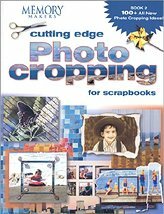 Are you looking for something fun and exciting to add to your scrapbook? We have the perfect solution for you. With eight unique ways to add motion, you can be assured that everyone who sees your scrapbook pages will be truly amazed! Each Page Additions kit includes everything that is required to add motion to one scrapbook page. Our kits have been designed with the scrapbooker in mind, which means traditional embellishing techniques such as rubber stamping, chalking, dry embossing and others may be used to further enhance the overall effect of the page. Consumers demand quality products, which is why all of our products are manufactured in our state of the art production facility, which allows us to maintain the highest level of quality throughout the manufacturing process.